No money in camper delivery. I been in it for 3 years now and cannot justify doing it for nearly free anymore. The wind, snow, black ice ... its a big risk for peanuts. They don't pay near enough about $1 a mile (NO HAUL BACKS- NONE!!!) and you get kept in the dark and treated like crap. 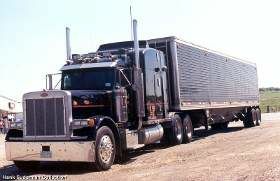 You have to log like a big rig and pull into weigh stations where you might get fined if they find the slightest infraction. Nobody respects you and the industry thinks of you as a fool. No more NO THANKS! !